Defying the government comes at a price. Even if you are the popular Gravity Guy. 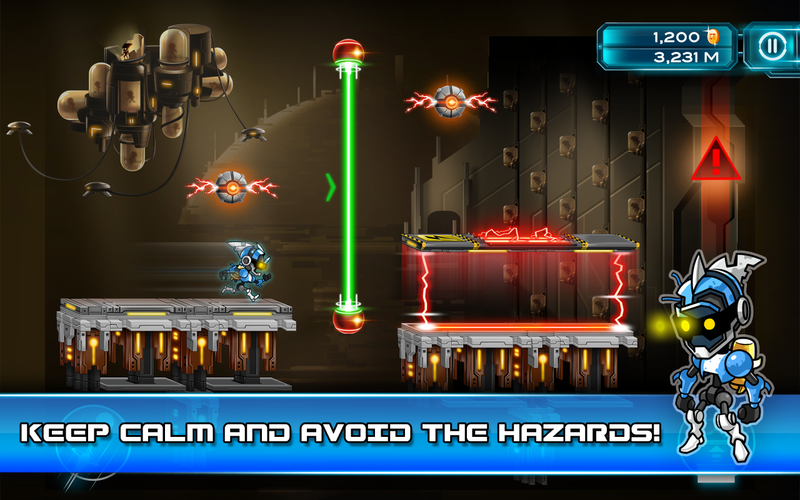 Remember Miniclip’s endless runner that stole your hearts with crisp visuals and gravity defying platform jumping? If you did, there’s good news and some more. The good news is that Gravity Guy is back with a sequel. The surprising fact is that Gravity guy has now been cloned. It appears that the Gravity Troops eventually managed to capture the hero of the game and cloned him along with other inhabitants so that they can conduct dangerous non-stop races across the world. 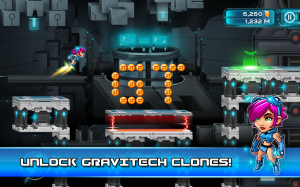 Gravity Guy 2 comes with 7 different clones, each with their own unique abilities and powers, which simply translates to seven times more platforming fun. 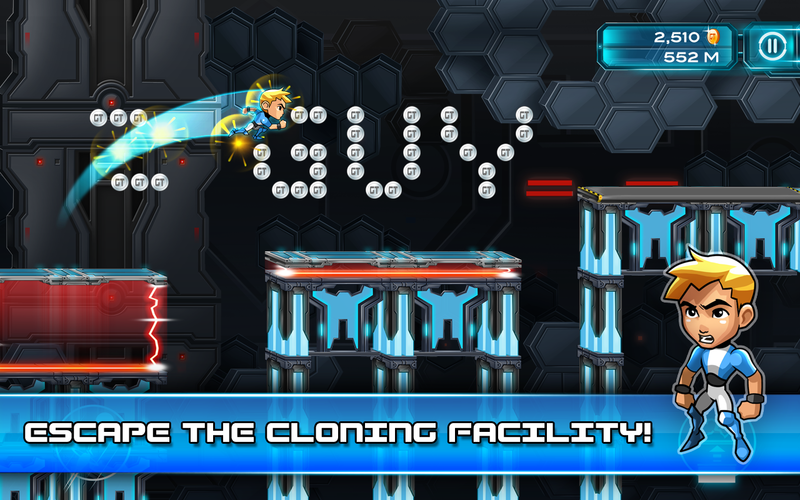 Unlike the usual crop of endless runners, the unique feature of this game is that you don’t control the characters, but rather manipulate the running platforms. 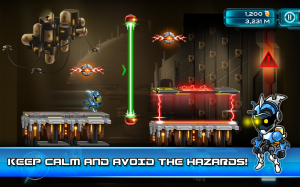 Using the left and right controls on the screen, you raise the platforms to collect coins and jump over obstacles. Coins collected will come in handy when you want to level up, unlock boosts and other powerups. Gravity Guy 2 also comes with Google Games services integration, which is great news for players who love to challenge your friends. 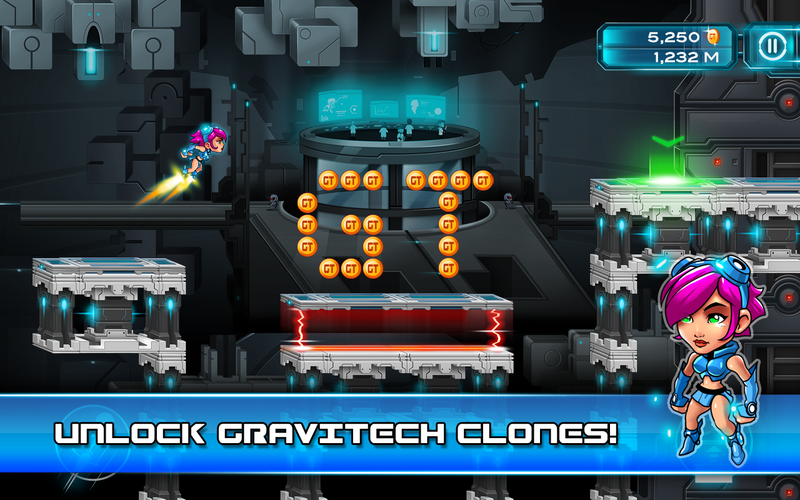 Gravity Guy 2 is available for the surprising price of free. Enjoy!